That’s who we are when we’re born again, washed clean by Jesus’ sacrifice for us and recharged by the divine power of the Holy Spirit living within us. This power clothes us on the inside. It covers our hearts so we can really know and experience the unconditional love that God has for it. It covers our minds as the Holy Spirit transforms old, hurtful habits into new, Godly habits. Impossible hopes that we had before now have become possible because of God’s ability to intervene in our lives. 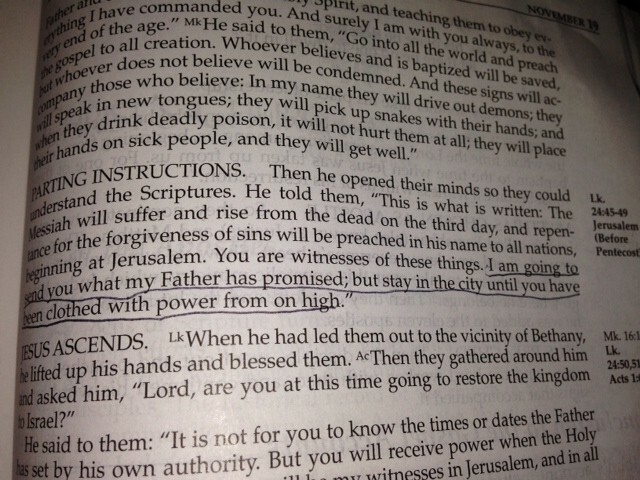 This power covers our souls as each new day of our eternal live with our Father God begins. We have been clothed with the power of our Living God and Jesus asks us to use this power for his purposes here on earth. Who will we meet today that needs to experience some of God’s love flowing through us? Or do they need to hear a part of our story about how the Holy Spirit has transformed us? Or do they need to accept salvation today so that their eternal life with God can start? God asks us to use it today.